✅ Trip Verified | No one seems to know what is happening. Staff throughout airport rude and uninterested. Restaurants closing early. Chairs in seating area broken and obviously been that way for a long time. Surely Disney could be encouraged to donate one weeks takings to modernise this awful beginning of people's holidays. If I compare this to Gatwick and Heathrow in England and Schiphol in Holland it is embarrassing to America. "looks like it's stuck in the 1970's"
✅ Trip Verified | Have experienced this airport on multiple occasions over the last 10 years and every time it's the same. The Airport looks like it's stuck in the 1970's and would need a renovation. Overall the check-in process is smooth, but the security can take longer than expected. There is an ok amount of resturants and bars, and there is not enough seating at the gates leading to a lot of passengers having to stand up. Not Verified | Coming from Stockholm we had a very long flight only to wait an hour or so before immigration moved just a little at a time. While being there another hours a flight arrived and you saw the passengers arriving into the already established que's only to be yield at by officials as if they were small children and rudely! To get back to the plane they left and stand by. 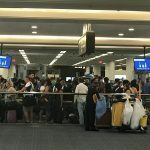 The official also informed those passengers that they were not going to be processed because the airlines they flew did not file the proper paperwork and they were unexpected! We made it through immigration recovered our checked baggage pleasantly surprised by being given a free cart, rolled through the customs door then told to unload the carts were not allowed to be used to take the luggage anywhere and we were told to place our luggage on the conveyor, told it could take as long as 3 hours to show up at the main portion of the airport. No passengers put there luggage while we were there they all struggled and all helped each other carry their luggage back to the main terminal. Ive been to many Airports across the world. Never have I ran into an additional 3 hour process at the end of customs in any airport at any country. What a waste of big money. why did not the airport let the cart vender rent carts out there rather than spend millions on conveyors that no one will want to use. Also no signs or instructions regarding this portion of the process. It was a melt down just waiting to happen every 10 minutes. They had such a nice appearance when we departed, arriving was a nightmare more than anywere Ive been in 30 years. The staff seemed to try to manage dealing with the ridiculous process. It took us a few moments to carefully stack all our luggage up on the free cart. For a 10 second push 15 feet? ✅ Trip Verified | Most unpleasant arrival experience in my life. Arrived at 10 pm on January the 7th from Panama and went directly to immigration line (visitors). Very disappointed to see that there were only 2 agents allocated for our line, while that line for locals had more than 7 agents. As a result it took us more than 1:30h to pass the immigration controls. Then, they took me to the customs office with the excuse of having a common name (they didn't provide more explanations but the way the agent explained didn't sound very convincing, besides it was the first time that it happened to me in US territory). Time spent in the office, 30 minutes. After the office I finally got to pick my lugagge, only to discover that it had to go through a 2nd security check and that we had to pick it in another terminal. Sadly when we got to the pick up terminal, part of the lugagge didn't come out. Nobody from the airport or airline was present to assist us. I asked to another passenger in the same situation and he told me that this messy inconvenient was really normal in the airport. We sat for more than 1 hour besides the belts, until the last bag finally came out. It took me 3 hours to fly from Panama to Orlando and incredibly it took me more than 4 hours to try to go out of the Airport. These guys have no idea of customer experience. I know security is a priority but it doesn't give them the right to provide such a poor service. If I don't know how to treat my guests I simply don't invite them. ✅ Trip Verified | TSA are disgusting and dehumanizing. This pig of a women was pounding on the plastic barricade and bellowing to people to move up a few inches. I was traveling for work so I had no choice. This is unacceptable. Not Verified | We arrived later in the evening. Our plane was delayed, so we got something to eat in the main terminal. I'm glad we did, because there were few options near our gate. Because we ate first, security was short (it was horribly long before we ate). My biggest issue is that for an international airport at a major tourist destination, it is horribly outdated. For us, specifically, it is a huge lack of charging stations. We were at the gate 15 waiting area. 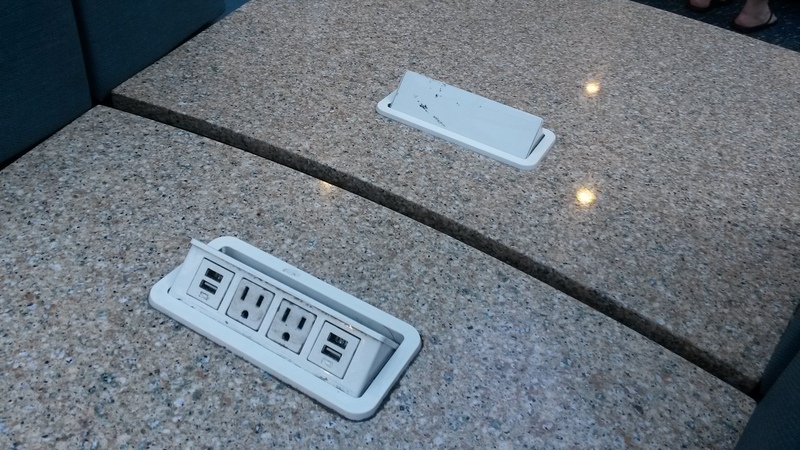 In that area, there were 6 outlets, each with 2 outlets and 2 USB chargers. That makes a total of 24 people who can charge a device. Get with it. 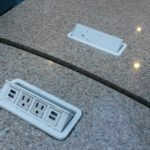 Most modern airports (we live in Denver and use DIA regularly, but have seen it at most other parts airports as well) have seats that charge, so every passenger has the opportunity to do so. In this information age, we all use our devices for everything from business, to email, to boarding passes, to transportation (Uber, etc.). We had been gone from our lodging most of the day and arrived with devices in need for charging. Do you have a plan for when a passenger arrives with an electronic boarding pass, but their phone dies before boarding because they couldn't charge it? 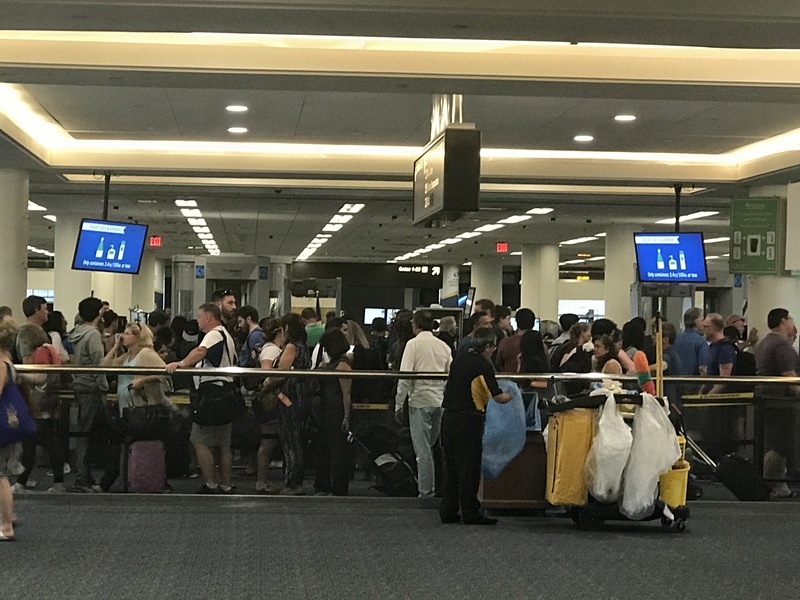 "Avoid MCO at all cost"
✅ Trip Verified | Absolutely horrendous experience going through Orlando International airport! During holiday season travel rush, the airport closed all TSA precheck lines and created massive queues, herding everyone into general security check lines. The staff were extremely incompetent and could not adequately direct the traffic or move the lines along. It was the absolutely worst security experience I have ever experienced of any airport, any country! Avoid MCO at all cost! 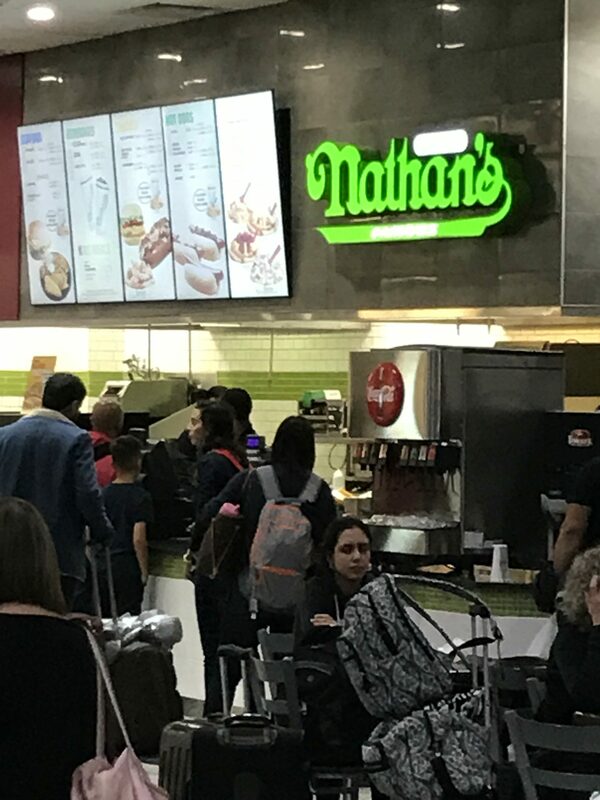 Not Verified | If I could give this airport a 0/10 I would. Driving into the airport required a toll road and most rental cars charge more without sun pass. When we finally made it into the airport the signs to return rental cars were quite confusing, we had to go around the entire airport to return our car, when we finally made it to the terminal. the TSA line was long. Food options were very limited and the bathrooms were filthy and smelly!! "no one cares about customer service"
Not Verified | The customer service at Nathan's and Burger King on gates 60-99 are the worst customer I have ever received. More than 15 people on line to order and only one register open. The employees show that they do not care. 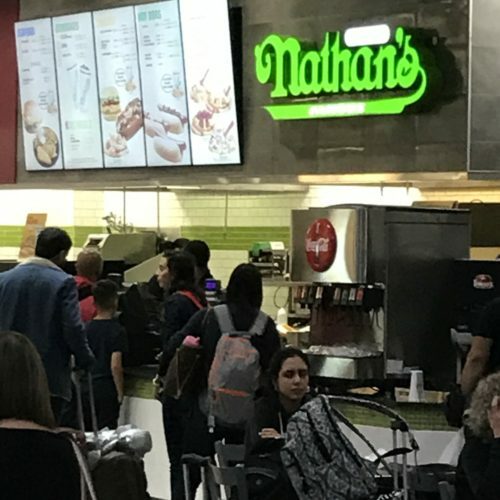 Nathan's always runs out of food that’s in the menu daily and even forks. Looks like no one cares about customer service at those two locations. "Waiting time, almost an hour"
Not Verified | This is the third time that I have to wait so long for our baggage. That happened in July with Southwest and in December with Spirit and Frontier. Waiting time, almost an hour.